Recently, the folks at Guidecentral asked me to create a project using products from a craft company called ACTÍVA. ACTÍVA, is an online company that sells arts and crafts supplies. Specifically, they focus on instant paper mache, colored sand and clay. Before being contacted by Guidecentral, I had never heard of ACTÍVA. So I was pretty excited to see what the company and products were all about! 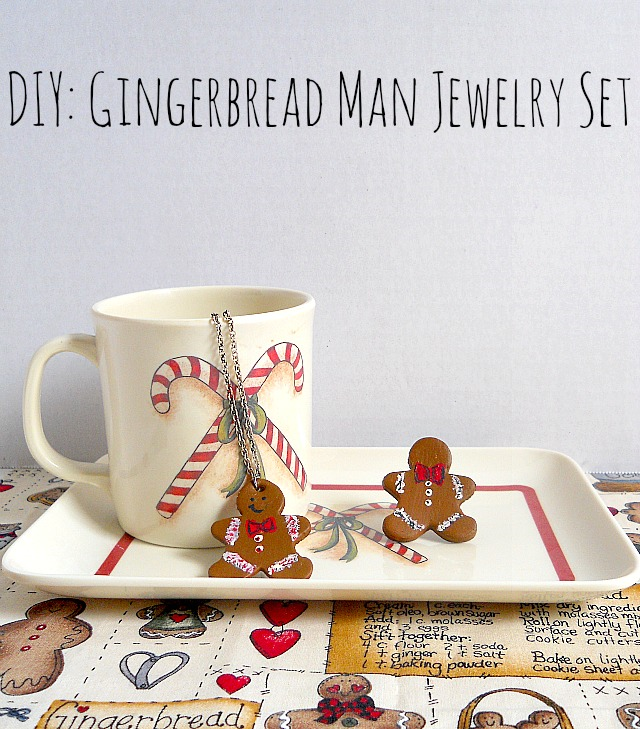 The project that I designed had to be for Christmas, so I came up with a gingerbread man jewelry set! This particular jewelry set includes a necklace and ring, which are both made out of air dry clay. I also used this really cool clay roller kit while making the project. The clay roller kit included all these awesome pieces which could help you to control the thickness of your clay (so no more pieces of wood, if you get what I'm saying)! The project itself is super easy to make and can be customized in a bunch of different ways to fit your style! If you want to see the full tutorial on how to make this jewelry set, hop on over to Guidecentral and check it out!